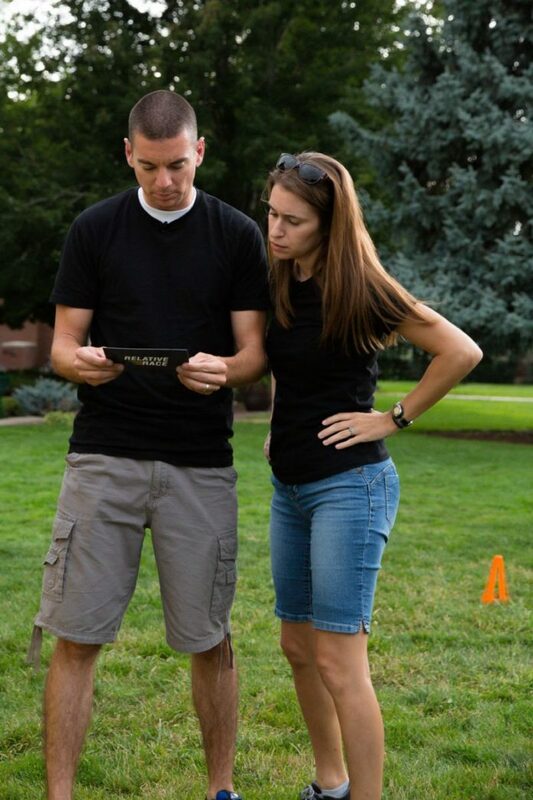 Johnathon and Rebecca Hoyt won the top prize in the reality TV program "Relative Race." For most of her life, McAllen resident Rebecca Hoyt questioned many aspects of her being — traits, mannerisms, natural habits — and where they developed from. Since her biological parents did not raise her, she had no way of finding answers. At the age of 5, Rebecca was adopted by an aunt from her father’s side of the family. This was after her father was convicted of murdering her stepmother, who he married after Rebecca’s biological mother died in an accident a few years prior. But now, as an adult competing in a reality TV program called “Relative Race” alongside her husband of 13 years, Johnathon, Rebecca found many of the answers she had longed for. “It ended up being life changing … by bringing closure in such a peaceful way I did not think was possible,” she said. “Relative Race” is a reality television program airing on BYU TV in which four teams who share a desire to unite with relatives they have never met — or perhaps did not know existed — embark on a 10-day venture across the country using clues to find the individuals with whom they share chromosomes. Genealogists from the show use the DNA of participants to find their relatives. Rebecca and Johnathon won season three of the program and shared their purpose for entering the contest with the world — or at least the show’s audience. Before the race even began, while the rules were being explained in Washington, D.C., a connection was made for the Hoyts. Unbeknownst to Johnathon, he was a cousin of another team member and fellow Texan Troy Hitt. The two families have kept in contact ever since, and Rebecca said she and Johnathon donated a portion of their prize money to repairs of the Hitts’ home, which was severely damaged last year by Hurricane Harvey. Other relationships forged by the Hoyts through the TV show include many of Rebecca’s aunts and cousins from her mother’s side of the family. She said they have been inseparable since, communicating digitally. Although meeting family every day was exciting, Rebecca said the adventure at times became difficult. With a rule banning the use of technological devices, save for a flip phone, she and Johnathon could not remain in contact with their immediate family, including their 4-year-old daughter. But when emotional and physical exhaustion began taking a toll, Rebecca said they reminded themselves of why they were doing it — to fill in the missing puzzle pieces of Rebecca’s life and strengthen their family unit. Rebecca is a stay-at-home mom. She plans to use a portion of the prize money to complete her bachelor’s degree in homeland security and emergency management. Johnathon works as a U.S. Border Patrol agent. She encouraged anyone interested in finding their family to consider auditioning for the show, which airs on the TV network owned and operated by Brigham Young University.